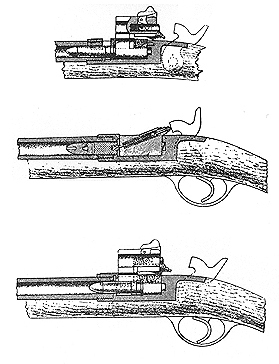 The Snider was the British Army's attempt at converting the Enfield Muzzle Loader into a Breech loader. It used a new type of metal cased cartridge called a boxer cartridge. The calibre was .577in. This rifle was replaced by the Martini-Henry rifle which was adopted by the British Army in 1871.